With the Heir of Novron audiobook Michael J. Sullivan ends his omnibus trilogy and I must say the series got better as it neared the end. If you thought the first omnibus was good then the conclusion to the Riyria Revelations will far exceed your expectations and the narration in the audiobook will add to your experience of the book. The omnibus comprises of two novels, ‘Wintertide’ and ‘Percepliquis’ and the two are connected by a riddle muttered by Esrahaddon moments before his death and the role of the heir of Novron in future events. The events of Heir of Novron take place only a few months after those of ‘The Emerald Storm’. ‘Wintertide is named rightly so because when the story begins the New Empire is about to celebrate their victory over the Nationalists on the holiday of Wintertide. On this same day, they also plan to burn the Witch of Melengar, execute the yet undiscovered heir of Novron and force the Empress Modina into a marriage after which they plan to have her killed by way of an accidental death and consolidate all of her powers. At this point, Riyria, Hadrian and Royce arrive in Aquesta to free the heir and Arista is missing. This leads them on a journey that allows Sullivan to provide a lot of information on the world of Elan and its history. We are told of the humans, elves and dwarves, the beginnings of their troubles and what caused the rifts between their worlds. In the second novel, the dwarves have invaded three kingdoms of the humans and Sullivan puts together a huge melting pot of events. Sullivan’s abilities of characterisation seem to have improved with each novel. You can literally see the growth in all the characters we have encountered so far in the series. He evens adds a number of new characters that enhance the story and its final conclusion. All the characters are marked by the changes they undergo and the endings they are given by their author. Empress Modina finally wakes up from her stupor to transforms in to the ruler her people think her to be. The change in her also leads to the downfall of King Ethelred and Bishop Saldur. The overall changes in her are clearly one of the aspects of the novel that take you by surprise. Sullivan tests Royce to the most extreme limits and his suffering is really heartbreaking. We finally see the dark side of Royce’s nature unleashed too. Royce’s character will have you riveted to the audiobook to know how the character unfolds. Hadrian has the least impressive character arc. He makes his way through fights with too much aplomb which makes it a little too hard to digest. In this omnibus, he is presented as someone who is caught between his duties and his affections and the handling of his character is a tad bit difficult to stomach. Amilia and Sir Breckton are impressively portrayed together. They are able to resolve difficult situations quite by accident and Sullivan’s treatment of their romance integrates really well into the larger construct of the novel. 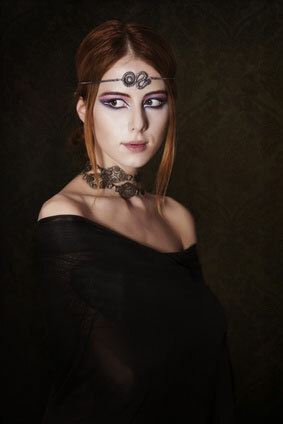 The most impressive character of the omnibus has to be Arista. She is the most honest to life character in the novel due to the gritty portrayal that Sullivan presents us with. Her plight is very difficult to comprehend and in an audiobook it becomes possible to hear the pain and suffering she goes through. She is the one character in the entire series that has lost the most and the listener can entirely sympathise with her near insanity. Her character portrayal is heartbreaking and her situation crashes on to you with all its weight. The interactions between characters, both new and old are interesting to observe. While there are those that are torn apart because of the turn of events, there are also those that are brought together because of better understanding. By the end of the series, Sullivan no longer spends time developing the relationship between Royce and Hadrian as there are more important aspects of the novel that he needs to pay attention to. So, if you are looking forward to the verbal back and forth between the two, in the Heir of Novron audiobook you will find yourself disappointed. But that does not necessarily mean the book suffers for it. There are still plenty of laughs spread throughout the work. 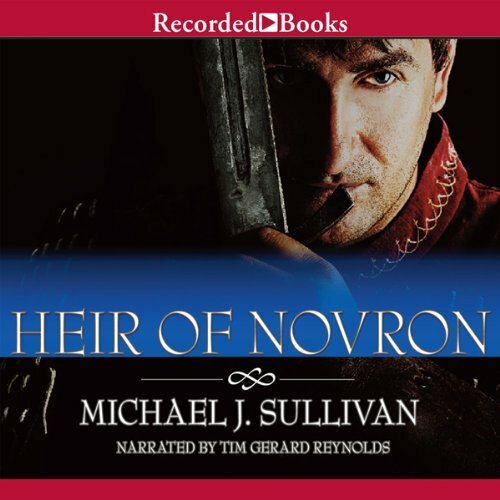 The Heir of Novron audiobook as narrated by Tim Reynolds is a massive 31 hours and 49 minutes long. But do not let that deter you. It is a pleasure to hear him narrate the tale of the Riyria. What is really extraordinary about this audiobook is that he narrated the female roles too and you would not know the difference. His narration was very appropriate and heart felt and made listening to the book a pleasure. As someone who has followed the Riyria Revelations series right from the beginning, you will not be disappointed by the way it ends. The novel might be massive in scope, but never is the action lagging. The speed with which the story moves is just right without being too racy and as you finish the audiobook, you will feel satisfied with how you invested your time. 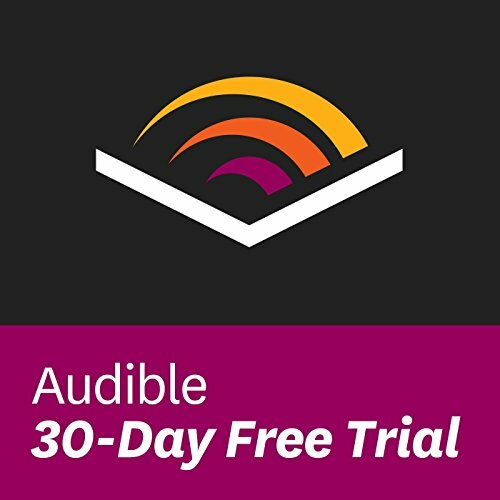 Click here to claim your free audiobook! Start listening to Heir of Novron today!